To sign up for this initiative there is a brief survey below. You can complete this survey electronically or we can do it over the phone together. Call us at 954.561.9681 x 1261 if you would like assistance. 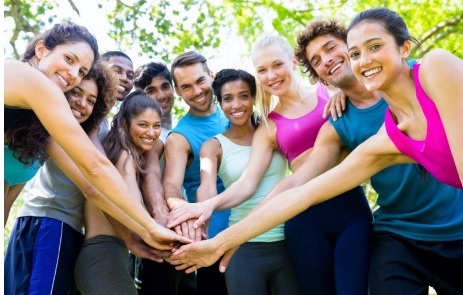 The Healthy Living Broward Initiative strives to improve health outcomes by connecting residents to health care related services and community based programs. This is an initiative that aims to promote healthier behaviors and provide residents with information about opportunities near you for health care services, healthy eating, physical activity, stress reduction, smoking cessation, health promotions, and chronic condition and disease self-management classes. This informed consent is for social participation. Individuals residing in Deerfield Beach, Pompano Beach, Dania Beach, Hollywood, Hallandale Beach, and West Park are invited to join the Healthy Living Broward Initiative and participate in local community-based programs to improve health and wellness. The Healthy Living Broward Program is generously supported by Humana Foundation. Please read over this consent form. If you have questions, please consult the Community Health Worker (CHW) or a representative listed in the contact section below. This is NOT a medical program. NO medical assessment or interpretation of health status will be provided by BRHPC staff or the CHW assigned to you. It is your responsibility to follow up on the recommended services provided to you by the program staff. This initiative hopes to assist residents who are living in specific areas of Broward County and who may be pre-diabetic, diabetic and/or hypertensive with information about community-based services and activities that may be beneficial to their overall health. Throughout the initiative, information will be shared through text messaging, calls, email and events about opportunities for health care services, healthy eating, physical activity, stress reduction, smoking cessation, and chronic condition and disease self-management classes. Additionally, participants will be asked a few questions about physical activity level, foods and drinks consumed, and actions they have taken to address medical care needs, in order to help us understand how we can best connect residents with the resources needed to have a healthier lifestyle. This initiative will initially involve your participation in one-on-one discussions and/or text messages that may take about 10 minutes to complete. You will be encouraged to take advantage of the opportunities provided in this program to lead a healthier lifestyle. You must be over 18 years old and reside in Deerfield Beach, Pompano Beach, Dania Beach, Hollywood, Hallandale Beach, or West Park. Participation in this is entirely voluntary and you can withdraw at any time. You, as the participant, decide whether to participate or not. There is no inherent risk in this activity. However, there is a chance that participants may not feel comfortable sharing information. If that happens, participants may decline participation. This is NOT a medical program. NO medical assessment or interpretation of health status will be provided. Benefits include receiving information about opportunities near where you live for health care services, healthy eating, physical activity, stress reduction, smoking cessation, and chronic condition and disease self-management classes. Participation is geared toward helping you improve your overall health. Residents of Deerfield Beach, Pompano Beach, Dania Beach, Hollywood, Hallandale Beach, or West Park aged 18 and over may qualify to receive incentives to participate, if they are able to visit the health care center and return the completed Healthy Living Verification form to your assigned Community Health Worker (CHW), or BRHPC representative. Data will be collected in-person at community events and/or via Mobile Phone text messages and responses. This incentive cannot be given to another person who is different from the one listed on the form. To learn more about your eligibility to receive an incentive, contact HealthyLiving@BRHPC.org. Information sharing is limited to the Healthy Living Initiative staff and affiliated health care organizations and community based programs. All information will be held in strict confidence. The information collected from this initiative will be kept private. It will not be shared with or given to anyone except the approved Healthy Living Initiative staff and affiliated health care organizations/community based programs. While personal information will be kept confidential, the initiative is being done in the community setting and you may be asked questions by other people in the community. It is our hope you will recommend family, friends, and neighbors to join, too. For additional information, please contact Alena Alberani, HEAL Program Manager, 954-561-9681 at ext. 1261.